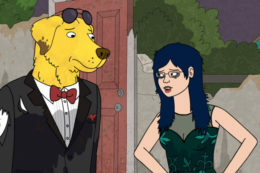 Post Tagged with: "bojack horseman"
Dylan Hysen, Michelle Anderer, Sam Quattro, and Alex Bonilla recap the 11th episode of Season 4 of BoJack Horseman, “Time’s Arrow”. Alex Bonilla, Sam Quattro and Michelle Anderer recap the 10th episode of BoJack Horseman‘s fourth season, “lovin’ that cali lifestyle!!”. Alex Bonilla, Sam Quattro and Michelle Anderer recap the ninth episode of BoJack Horseman‘s fourth season, “Ruthie”! 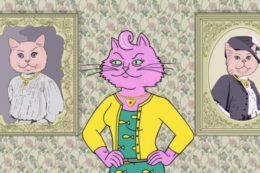 Alex Bonilla, Sam Quattro and Michelle Anderer recap the sixth episode of the fourth season of BoJack Horseman, “Stupid Piece of ****”.